It is 31st of December in Thailand today and it is New Year Eve and since I live in Bangkok I would like to write about Bangkok New Year Eve a little bit. 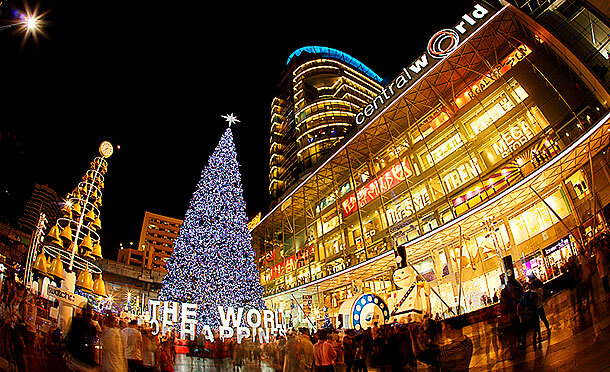 The biggest of countdown event in Bangkok happens in front of CentralWorld mall, The largest lifestyle shopping destination in Bangkok on Ratchaprasong road. There are several hundred thousand revellers attend the event every year with spectacular light and sound shows and live on-stage performances by the country’s biggest and best-known singers, actors and musicians including the beer garden, lucky draws. And on the stroke of midnight, an incredible fireworks display announces the arrival of the New Year which is broadcast live on Thai television. If you fancy something more private and intimate, it’s a good idea to indulge on a New Year’s Eve set dinner at one of the river side hotel restaurants or classy rooftop venues. This year I decided to go to a cozy restaurant and have good food with my family and count down to a bright New Year. Hi Mod, Happy New Year to you! 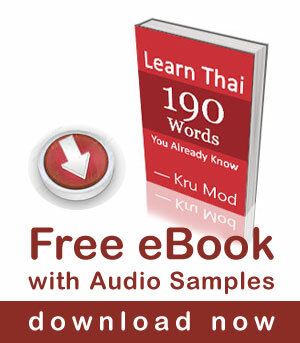 Thanks for lot of free video lesson. I never celebrate count down before at oversea but will heading to Bangkok in April for SongKran! 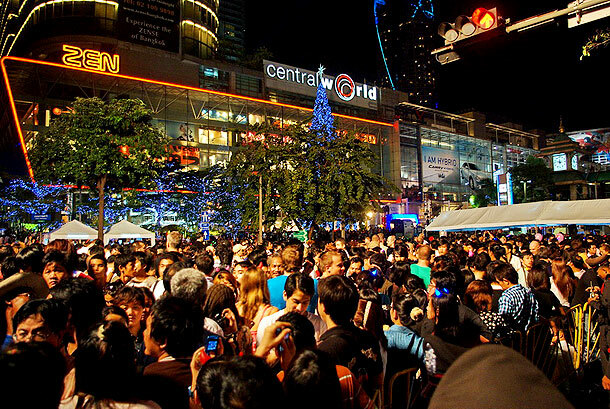 Yeah..
Hi, I will be in Bangkok for New Year 2013 with my family (3kids), and I think the crowds at Central World Mall might be too much. You mentioned you went to a ‘cosy’ restaurant. Can you recommend one? If you like something special, you might want to check out “Red Sky”, it is the rooftop bar on 55th floor of Centara Grand at Central World Hotel. 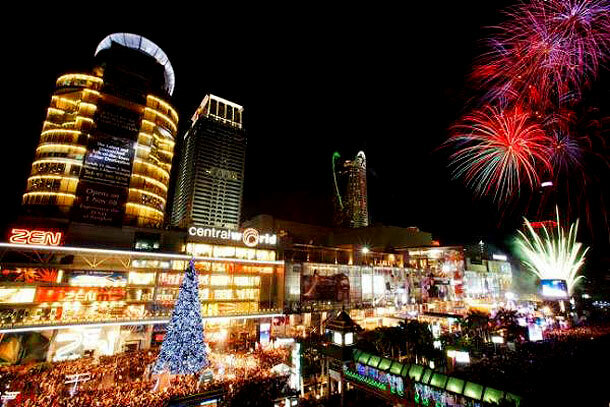 Two years ago I celebrated New Year’s at the Central World mall. It was so much fun. I would do again again. Thank you for visitng my site. It’s nice to hear that you had a good time here.